The Russian central bank sees inflation lower than previously expected and anticipates the possibility to cut the key interest rate in 2019. The economy is set to grow around its potential growth rate. Public investment will increasingly contribute to growth. On 22nd March, the Central Bank of Russia (CBR) decided to keep the key interest rate unchanged at 7.75 %. In February, the consumer price inflation (Figure 1 - see pdf) was 5.2 % (after 5 % in January). An increase in inflation was expected due to the VAT rate hike, however, it was lower so far than expected by the CBR. Households’ and businesses’ inflation expectations moderated since the beginning of the year (CBR survey). The CBR lowered its inflation forecast for 2019 from 5.-5.5 % to 4.7-5.2 % and to 4 % for 2020.The VAT hike contributed 0.6-0.7 %-age points to inflation, which is on the lower bound of the CBR’s expectation. In addition, faster growth of food prices (5.9 % in February) contributed to the rise in inflation. Annual inflation will pass its peak in March/April, quarterly year-over-year CPI growth is set to decelerate to 4 % in H2 2019 and annual inflation will remain around 4 % – the central bank’s inflation target – in 2020, according to the CBR. Taking into account the risks posed by external conditions and financial markets, the CBR admits the possibility of turning to cutting the key rate in 2019 if developments remain in line with the forecast. Economic growth is close to its potential (~1.5 %). The CBR continues to forecast real GDP growth of 1.2-1.7 % in 2019 and 1.8-2.3 % in 2020. Spending on public investment in national priority projects is expected to contribute increasingly to GDP growth starting already in 2019. Real GDP increased by 2.3 % (1st release Rosstat) in the total of 2018 posting a big growth surprise against previous expectations and against growth of 1.6 % in 2017. The pick-up was induced by a jump to 3.8 % y/y-growth in Q4 (after 1.5 % in Q3) likely related to increased construction activity. GDP growth averaged 0.7 % in Q1-Q3, while in Q4 the growth rate rose to 1.6 %. Private consumption has been contributing to growth (+2.2 % in 2018), however faces headwinds from lower real wage growth going forward. Also, net exports contribute to growth in the economy. Exports rose by 6.3 % and imports increased 3.8 % last year. Major government projects (pipelines, Yamal natural gas plant and shipping terminal) have the potential to boost the tepid fixed investments (+2.3 % in 2018). The volume (in cubic meters) of completed construction projects increased significantly during 2018 (Q4: 570 mln) and gives an indication about rising activity (Figure 3 - see pdf). The basic assumption of our outlook is that neither large financial shocks due to accelerating sanctions nor big oil price shocks occur. Hence, economic growth is set hoover around its meager growth potential (~1.5 %). Yet, the risk of international financial sanctions escalation remains present. Wage growth has been slowing after a spike in early 2018. Real wages rose by 7.2 % during 2018 and the growth rate fell to 2.4 % until January amid lower nominal wage growth and rising inflation. Stagnating real disposable incomes put a drag on growth in private consumption. Otherwise, the labor market shows a stable development including a stable unemployment rate (4.9 % in January) but also stagnating total employment. Bank credit lending provides support to households’ incomes and expenditure (loans to households grew by 22.6 % in January and 18.6 % y/y in 2018). Yet, car sales dropped in February (-4.0 % y/y) after double-digit expansion in 2017/18. The Central Bank of Russia indicates the possibility to cut the key interest rate in 2019 amid lower than previously expected inflation. Lowering the main policy rate hinges on the absence of major negative shocks from international sanctions or commodity prices. Despite a pick-up by year-end, economic growth is set to remain constrained by a low potential growth rate, while rising public infrastructure investments is expected to contribute increasingly. On the other side, consumer demand faces constraints from lower wage growth. First rise in key interest rates since 2011 by setting the overnight deposit rate to -0.05 %. Liquidity provided through EUR/HUF FX swaps is reduced by HUF 100 bn for Q2 2019. Central bank launches a new corporate bond purchasing program in July with a total amount of HUF 300 bn. The Hungarian National Bank (MNB) has increased central bank interest rates for the first time since November 2011. In last week’s meeting, the Monetary Council decided to increase the overnight deposit rate, which is the interest rate Hungarian banks receive on their overnight deposits at the central bank, by 10 basis points (bp) to -0.05 %. The central bank base rate, which is paid on minimum reserves banks are required to hold at the central bank, has been left unchanged at 0.9 %. Thus, the interest rate corridor has narrowed to 95 bp. Additionally, the Monetary Council has decided to withdraw excess liquidity from the banking system. The MNB has started to provide Forint (HUF) liquidity through EUR/HUF foreign exchange (FX) swaps in autumn 2016. Until then, the stock of EUR/HUF FX swaps has increased to HUF 1,969 bn (as of February 2019). The average amount of liquidity to be crowded-out per quarter has been reduced by HUF 100 bn for the second quarter of 2019 to at least HUF 300-500 bn. Thus, the stock of swap transactions will decline somewhat from Q2 2019 onwards. The change in monetary policy reacted to inflationary pressures in the domestic economy. Previous statements by the Monetary Council heralded a "gradual and cautious normalization of monetary policy, which would begin depending on persistent inflationary developments". February core inflation, the MNB's main inflation gauge, increased to 3.2 %, thus, exceeding the central bank's inflation target. Yet, Márton Nagy, Deputy Governor at the MNB, emphasized that last week's interest rate increase should be interpreted as a one-off event rather than the start of an interest rate hiking cycle. The dovish note reflects a potential drag on the pace of price increases from a weakening external environment. Consistent with the new set of ECB staff macroeconomic projections, inflation in the Euro Area is expected at 1.2 % in 2019, 1.5 % in 2020 and 1.6 % in 2021. In spite of substantial downward revisions by the ECB, new projections by the MNB show upward revisions of core inflation in Hungary for the years 2019 and 2020, remaining constant at the end of the monetary policy horizon in 2021. Core inflation excluding indirect tax effects is expected at 3.4 % in 2019 and 3.2 % in 2020, compared to 3.2 % and 3.1 % in the previous set of projections. In 2021 various inflation measures are expected at the MNB's inflation target at 3.0 %. The MNB has met its inflation target. In line with inflation gradually approaching the inflation target at 3.0 % by 2021, economic growth is expected to gradually decline to 3.0 % until 2021. 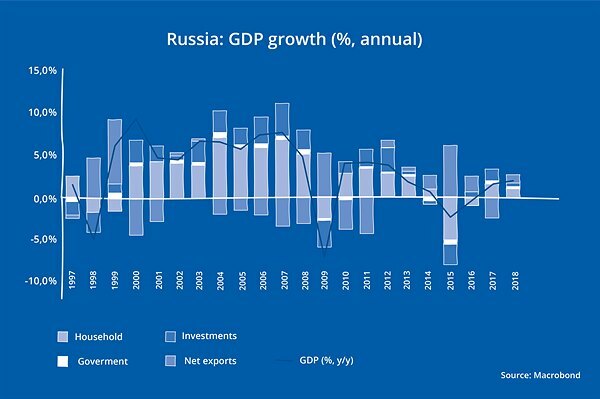 Growth projections have been revised upwards to 3.8 % in 2019 and 3.2 % in 2020, compared to 3.5 % and 3.0 % in previous projections. In addition to the increase in the overnight deposit rate and the reduction of Forint liquidity provided through FX swaps, the MNB will launch a corporate bond purchasing program. Starting in July 2019, the MNB will purchase HUF denominated bonds with a rating of at least B+ and a maturity between 3 and 10 years issued by domestic non-financial corporations. The total amount of the program is HUF 300 bn, though, being sterilized through the central bank's preferential deposit facility bearing interest at the central bank base rate (0.9 %). Thus, the bond purchasing program is neutral in terms of the present stance of the interest policy. With this new monetary policy instrument, the MNB intends to diversify financing of non-financial corporations and increase the efficiency of monetary policy transmission through a more liquid corporate bond market. The Hungarian central bank has started to tighten monetary policy, though is determined to keep a dovish note. Recent developments in domestic inflation have required the MNB to act in order to remain credible in meeting the inflation target. Yet, in light of a muted inflation outlook in the Euro Area, the MNB is inclined to stay cautious and does not outline an interest rate hiking cycle over the monetary policy horizon.